This time I finished the last 32 strings blocks, made 64 HST just as the other weekends and here it is. Since I’ve shown you how to do this in other posts, let these pictures be sufficient. This did hit my strings pretty hard, however. At least my brights/bolds. I may take a hiatus from these for a bit until I can go round up some more bright, or at least highly saturated fabrics for the next strings quilt - at least the next one I want to do! I’ve been doing some finishing of several of my strings quilt tops lately. I think I’m all “strung out” ! Maybe I’ll go back to crumbs! I do not have the pattern finished. 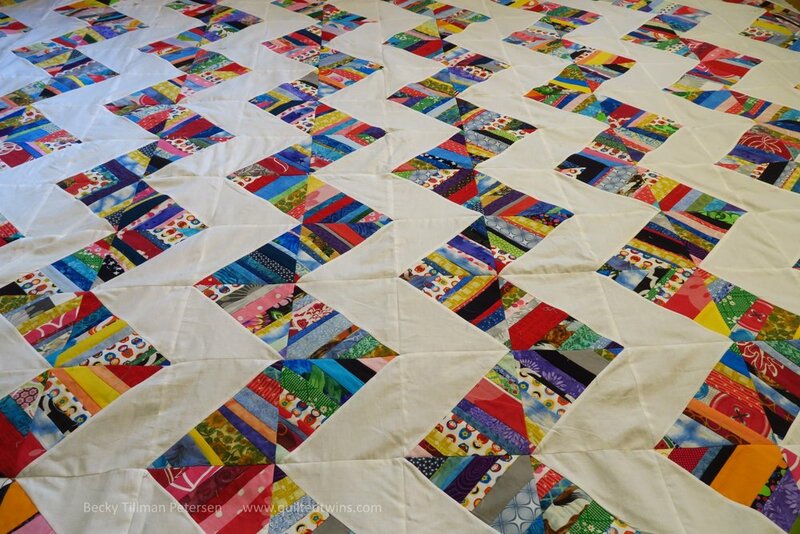 I will get it done before I post the finished quilt - or at the same time. 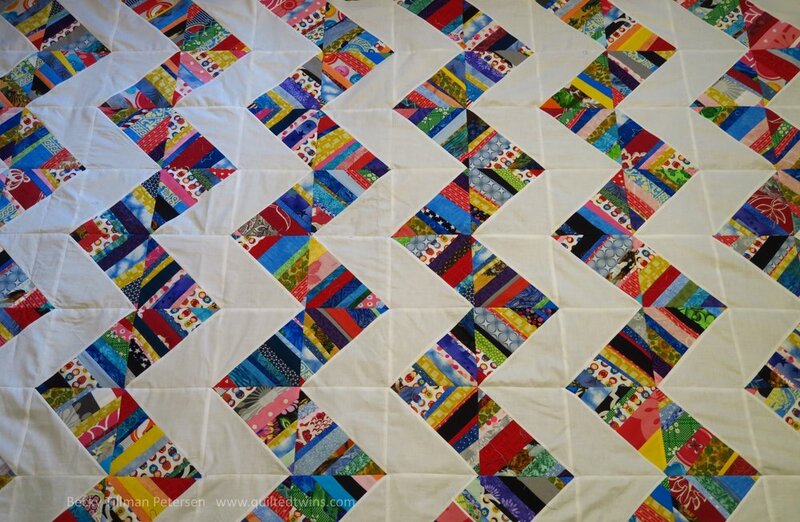 However, if you go back and read my last three Monday posts about strings, I guarantee it - you have the instructions on how I made this super simple quilt top! 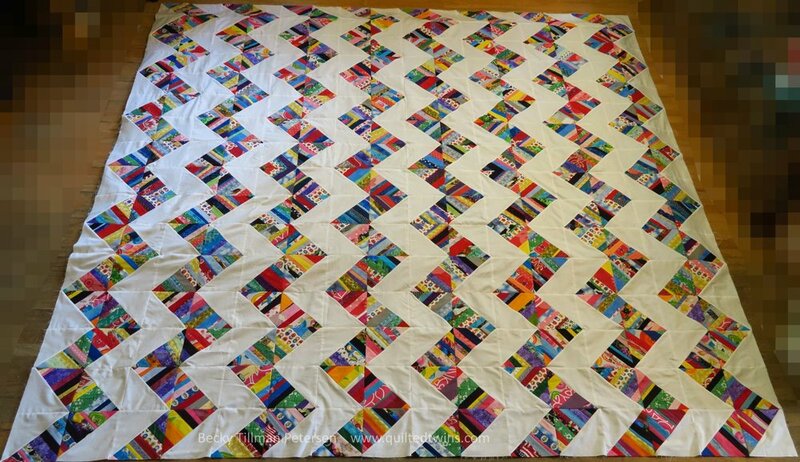 Just remember - the blocks finish in the quilt at 6” - so it is 96”x96” as a top. And yes, I am super pleased. Way more pleased than I expected to be. This one outdid my own expectations of it. I could see that after the first week, though. I’d love to see yours some time, if you make one! I can see this being great in a color controlled one or with three colors only, for example. And that’s what’s been happening in my part of the world lately!